Making your event unforgettable is easy with Tweet Binder. Discover all our services and the solutions for events that will amaze your audience. 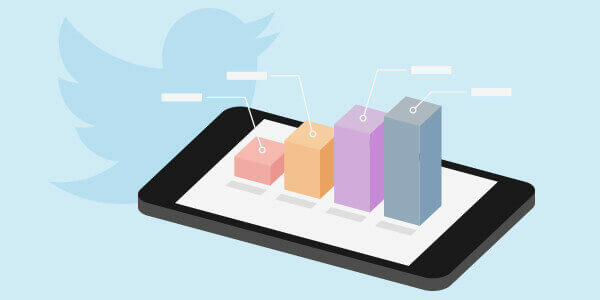 Moreover, you will empower your event’s results by creating the most complete Twitter data analysis for your client. Keep reading to know more. Discover our live reports and how they can help you making the most out of the real time data from Twitter. Find out how your audience is reacting to your event, campaign or any other topic by reading this post. Tweet Binder allows you to create as many analytics reports as you want. Due to the amount of information it is very important to order and control all the Twitter and Instagram analysis you run. Do you want to discover how? Keep reading this post and find out how Tweet Binder can help you. #SageSessions is another example of how displaying a hashtag in real time helps you to engage with your audience. The Tweet Binder team will help you creating and designing the Social Wall that better fits your event’s image. If you are organizing an event read this post and learn how a Tweet Wall can extend the lifetime value of the event. Politics are even more interesting thanks to the real-time analysis on Twitter. Tweet Binder has created the Presidential Elections Microsite to analyze all the stats and users rankings on Twitter. Learn more about our latest display solution by reading the following post. We solemnly swear that we are up to a lot of good. Harry Potter is a global phenomenon and it can not scape from Twitter. The #HarryPotterBookNight gathered thousands of users to read the Harry Potter series. Tweet Binder ran a real time analysis to see the evolution of the hashtag on Twitter. Fitur 2017 was amazing. Tweet Binder registered thousands of tweets on the official hashtag #Fitur2017 and participated in the great after party by “Atrapalo” with a large Tweet Wall showing tweets and Instagram pictures. A social wall displaying Twitter content has been the latest success that Marketing Directo has achieved on its latest event. The design and the moderated content was perfectly executed by Tweet Binder’s team. Track hashtags and display the content: @Hawkersco and @pacha! Hawkers and Pacha decided to launch this amazing campaign and Tweet Binder created this microsite with Instagram pics and stats in real time. Tweet Binder has proven that can be the best tool to display customized Social Walls and curated content at a TV show. Our events services can be customize to become part of any entertainment show. Tweet Binder is more than a Twitter and Instagram tracking tool. We can take a simple analytic report and turn it into a Social Media Wall for an event or into a microsite for the UEFA Champions League. Find the best solution for your campaign and lets start talking. An analysis of a sports event gives you very good insights about who your best supporters are and what do they think about your team. You can go even further and design a customized microsite where all the Social Media stats are displayed on a very innovative way. Check here the action we did for a Spanish soccer competition.